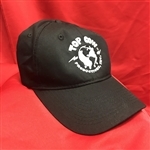 Top Cow Logo Baseball Cap SELF LOATHING NARCISSIST shirt! Adjustable Velcro Super Limited SELF LOATHING NARCISSIST t-shirt! Super Limited Rise of the Magi t-shirt! Cover art by Marc SIlvestri.